When I saw some of the fabulous Sea Turtle products I am sharing with you, I immediately thought of a friend and a relative. They both have volunteered to assist with preservation efforts of these outstanding creatures of nature. The nestings are often destroyed by the tides and are gently moved to a safer location. Later, the hatchlings may not make it to the water-birds or tourists grab them. Volunteers often rise before dawn to monitor and/or protect the nests, no matter what the weather. Later, they, or others watch and often gently help the new babies make it to the ocean! Exciting conservation efforts are in place and these are great stories to tell to children as well as adults! 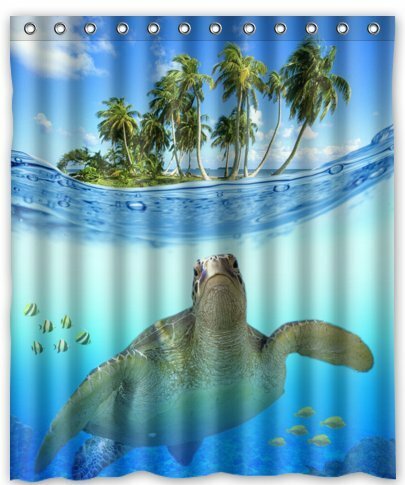 Choose your favorite sea turtle shower curtain to be the focal point of your sea turtle bathroom decor. 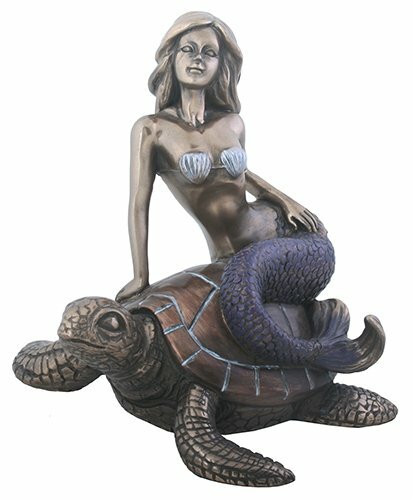 Your sea turtle bathroom accessories can include those items that are for decor only. You certainly will want to be practical as well, but don’t miss this opportunity to show off your favorite sea turtle pieces. This first grouping is more decorative, while the second grouping is useful and pretty as well. Even though goldfish are not in the ocean with our sea turtles, a small bowl with two or three gold fish swimming around is fun. Goldfish are an easy way to add water creatures to your newly decorated sea turtle bathroom. 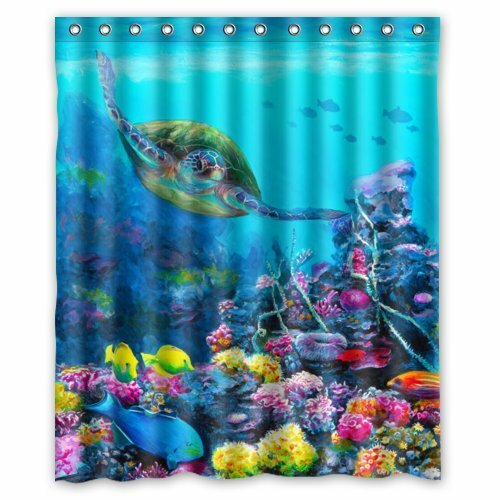 You may wish to use some existing bathroom linens if possible, but highlights with a few of these attractive ones will take the sea turtle theme a step further. 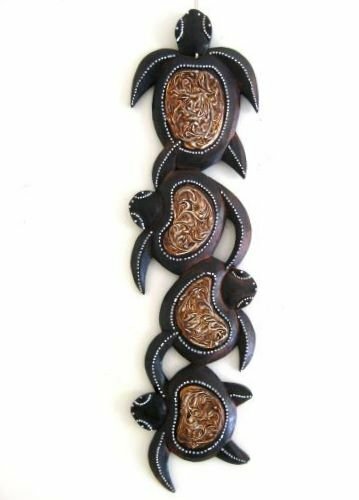 I found a wide variety of sea turtle wall decor in my research. 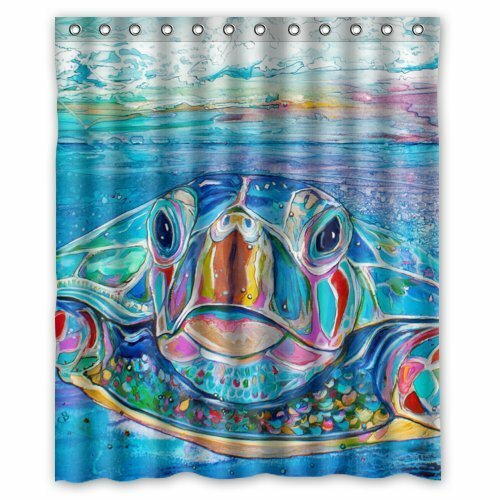 Your personal taste in art will dictate your choices, but these are examples of the beautiful sea turtle art that is available for your sea turtle bathroom. Enjoy your sea turtle bathroom decor. Remember: talk to your children and/or grandchildren about these magnificent creatures. Consider a trip to one of the Sea Turtle Hospitals – a real treat! Still undecided? I know you love the unusual – take a look at this unique themes, too.